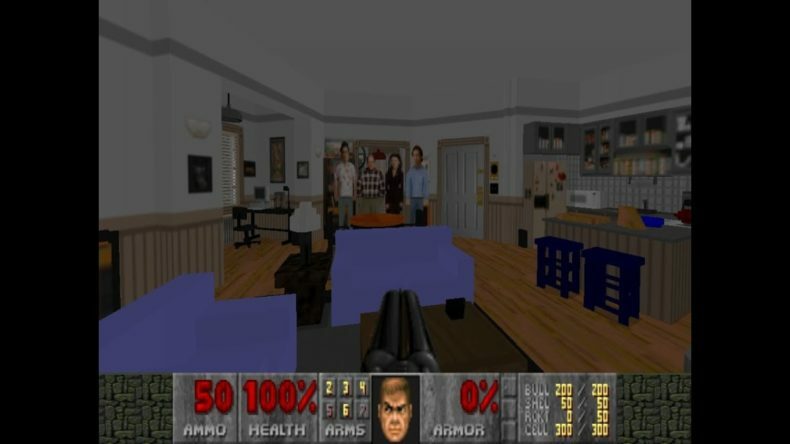 A mod of Doom 2 now exists where the entirety of the content is Jerry Seinfeld’s apartment. The mod recreates the entire thing in true 3D space using 100% original textures and modeling. Doug Keener, the mod-master who made the project, says it took over 100 hours from start to completion. You can’t do much with this version of the game, but the five characters that occupy Jerry’s place ARE killable. I particularly enjoyed Elaine screaming “GET OUT!” right after she had been gutshot the first time. The Seinfeld edition of Doom can be downloaded here. …Yeah, it’s a slow news day.